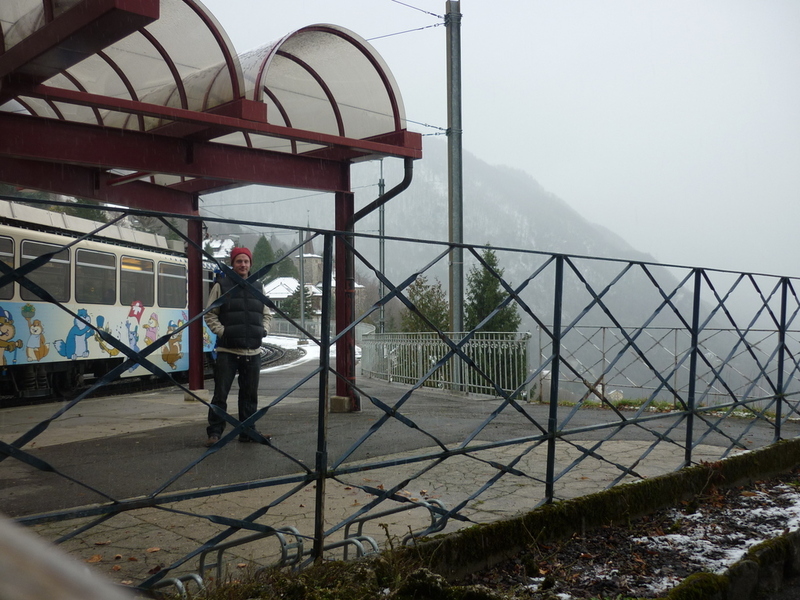 Getting around Switzerland on trains is rather jolly, quiet, civilised and very enjoyable. Given extreme terrain in places, a few more radical solutions are needed to get to certain locations. 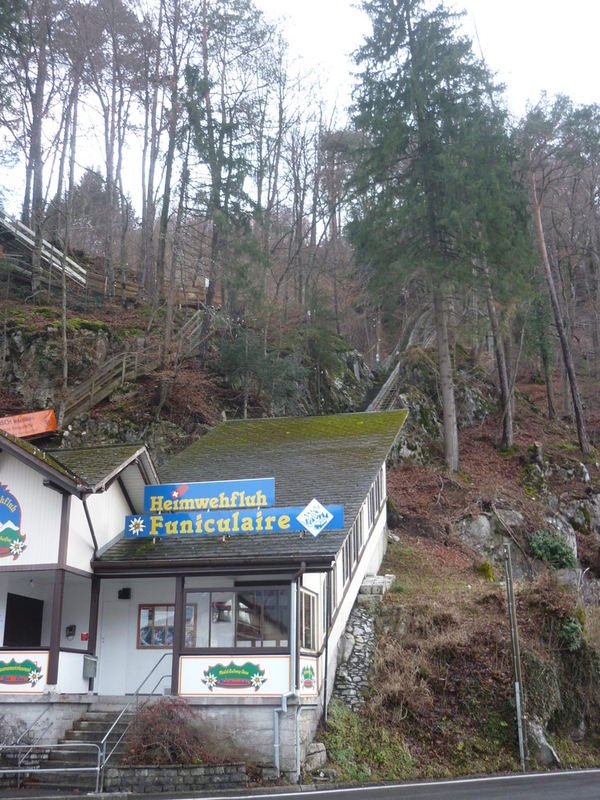 I haven’t really heard of a funicular railway before, until I saw this one. Funnily enough, this one was shut until the evening for some reason. 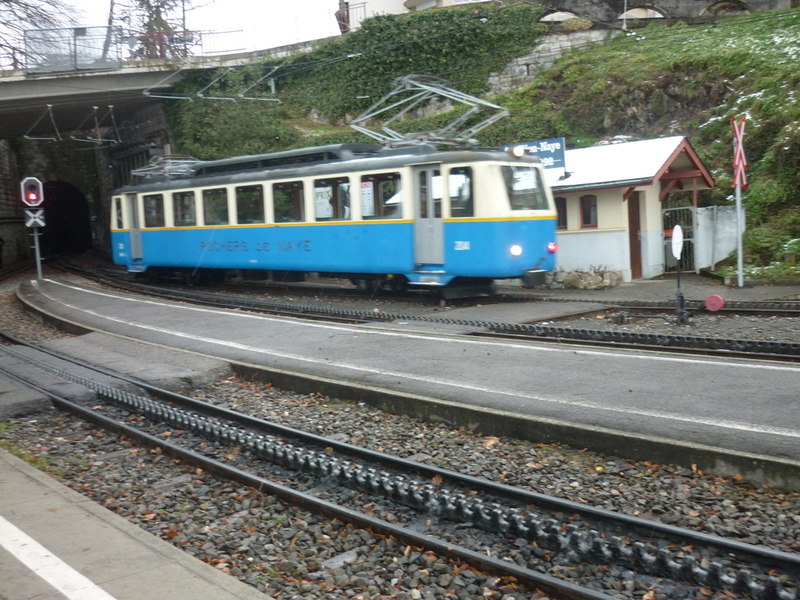 The other one I saw in Interlaken was completely closed for maintenance. They look a bit like something from a theme park. I will be honest, I don’t really like theme parks, they always seem contrived, and don’t like deliberately getting on apparatus to deliberately make myself sick and dizzy. This is way better though! Onward to the French speaking city Vevey, the place where milk chocolate was invented, where Charlie Chaplin spent his retirement and the HQ of the global overlord food producer Nestle. 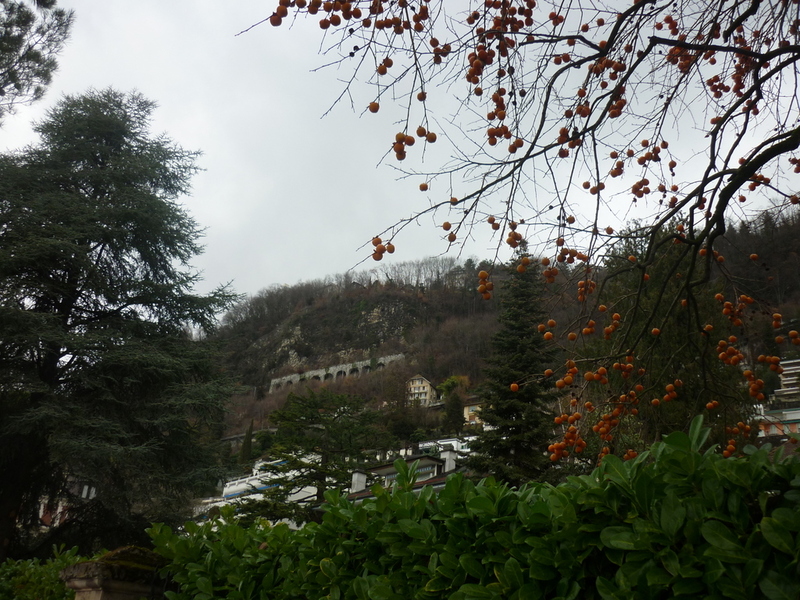 As Montreux is just 8kms or so away, and I thought I would walk as it was a pleasant sort of day. Is this a bus or a tram? It seems to be both!! Just as long as the driver doesn’t steer too far away from the overhead wires I guess it works well. Look closely and the bus’s signage shows ‘Desert’ which is kind of odd here!! 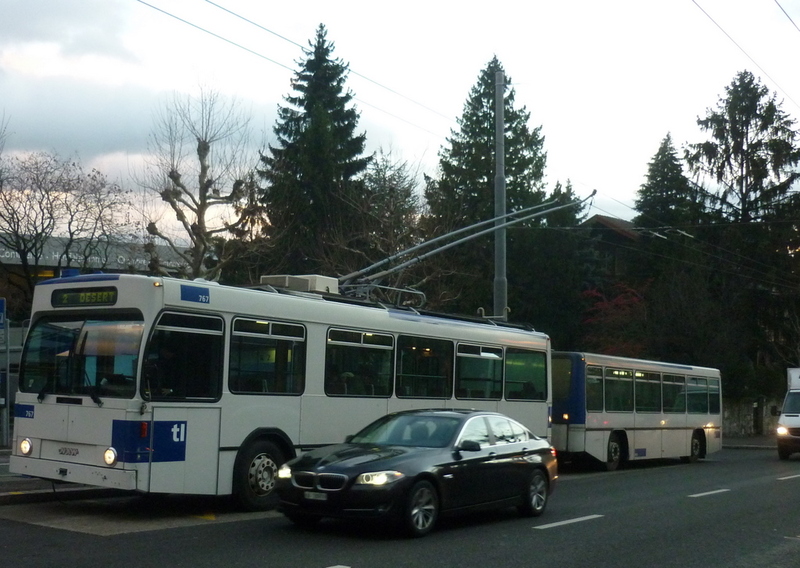 Vevey, Lusuane and Montreux are the French speaking neighbouring cities on a hill over looking a lake Geneva, so the roads can be pretty steep, needing to be negotiated in a zigzag fashion. These fruit trees seem quite common in this city, I think they are apricots. There is a English Anglican church at the foot of the hill which I was surprised to see. This completely bonkers mode of transport is great!! 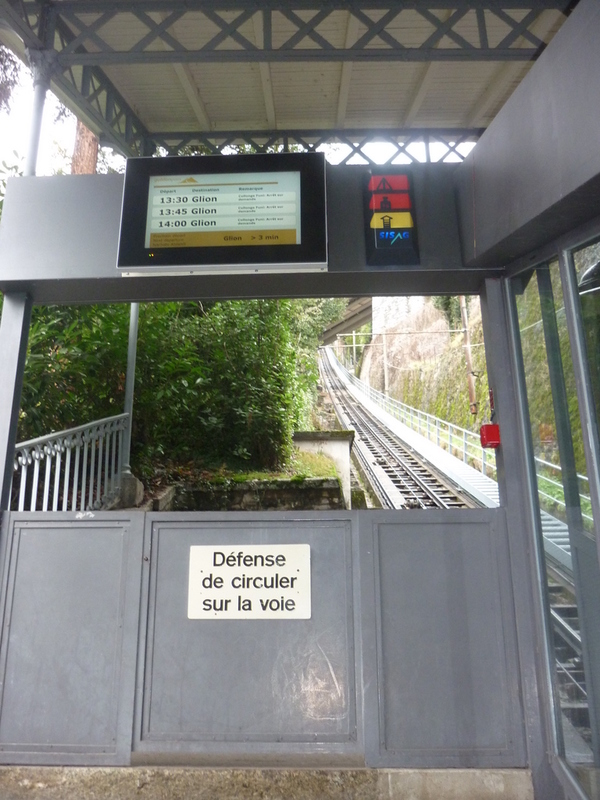 The rail car that goes up is completley autonomous, there is no driver or any other staff, in fact no staff are to be seen at all, my ticket was bought from a vending machine, and there is a large screen with the times, and an alarm sounds when its ready to leave and the doors open and close by itself. Just a winch and a computer system seems to control the whole operation, probably just one very bored guard somewhere checking over it. Someone has thoughtfully made the seats in the train heated which is great during the harsh winters here. 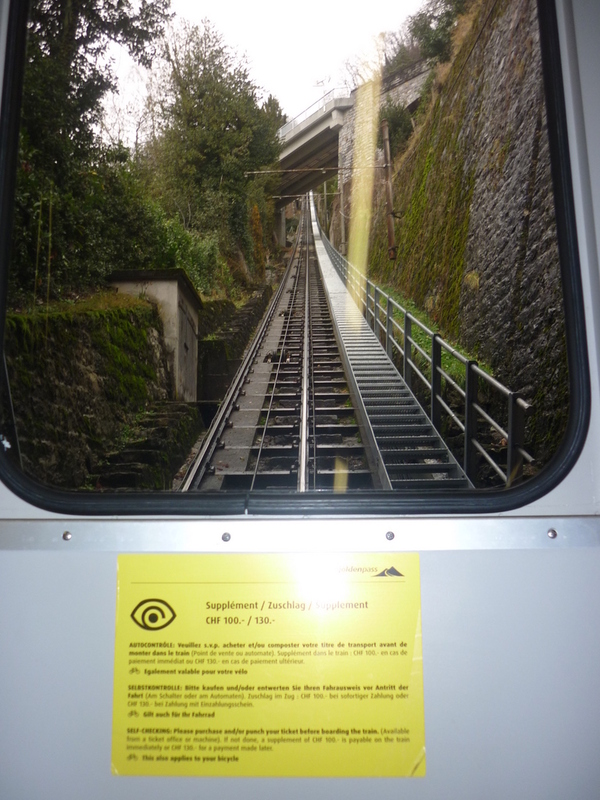 I would guess that the trains may have to specially designed for particular gradient of the hill maybe. The steepest one in Switzerland goes 48 degrees! Looking back, about half way along, you can see a lovely view of Lake Geneva, the ride is no longer than about 3 minutes, there is another car travelling the other direction, and the single track forks into two briefly and merges back, allowing a simple pass. new place to live and a new church. At the moment I enjoy the work I do, the church I have here, the friends from dozens of different countries, I will need to go back to earning a regular wage again, and readjusting to life in post-recession UK and being a single chap in my mid 30s its hard to get an understanding what this year will hold, it all seems massively overwhelming. My life with Jesus has meant that he has provide me with a way to conquer all kinds of enormously varied challenges so far. But like this unorthodox transport system this is one of most hardest to try and fathom. Here if I didn’t see this special railway, I wouldn’t of guess scaling this kind of hill would be impossible, but the Lord seems to provide when no tangible solution is in sight. 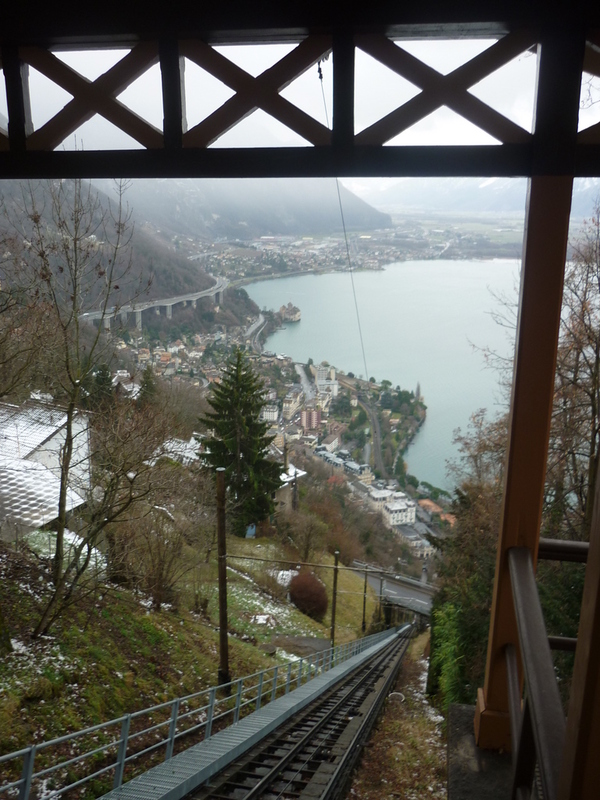 Up here you can quickly jump on another traditional railway system running parallel with the other line by the lake. It was nice that it started to snow up here too, only for a short time though, I just had to stay under this shelter for about 5 minutes. of body, just a little bit extra body and these are gluten free, very very good for you. What I’m going to grate some more parmesan cheese.